Pershing Square in downtown Los Angeles is one of my favorite locations. In this instance, we walked over from the Biltmore Hotel across the street where this couple just got married. 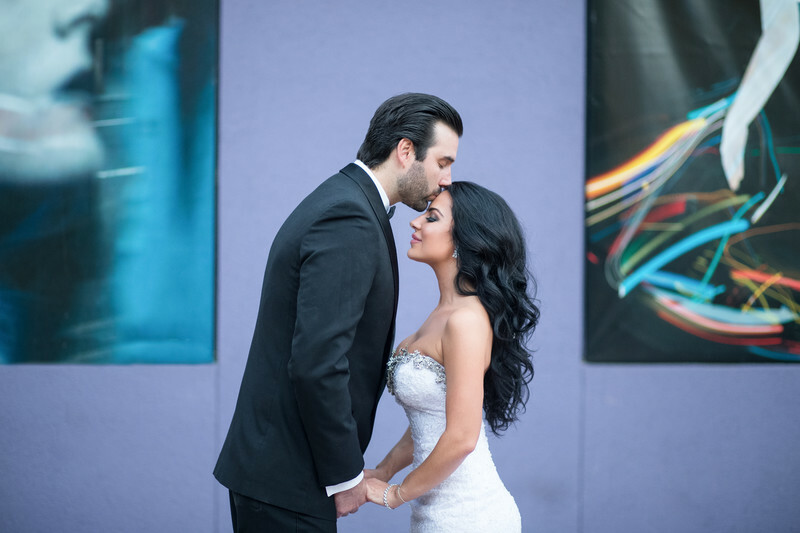 Framing this beautiful couple between the wall art made perfect sense! Location: 532 South Olive Street Los Angeles, CA 90013.